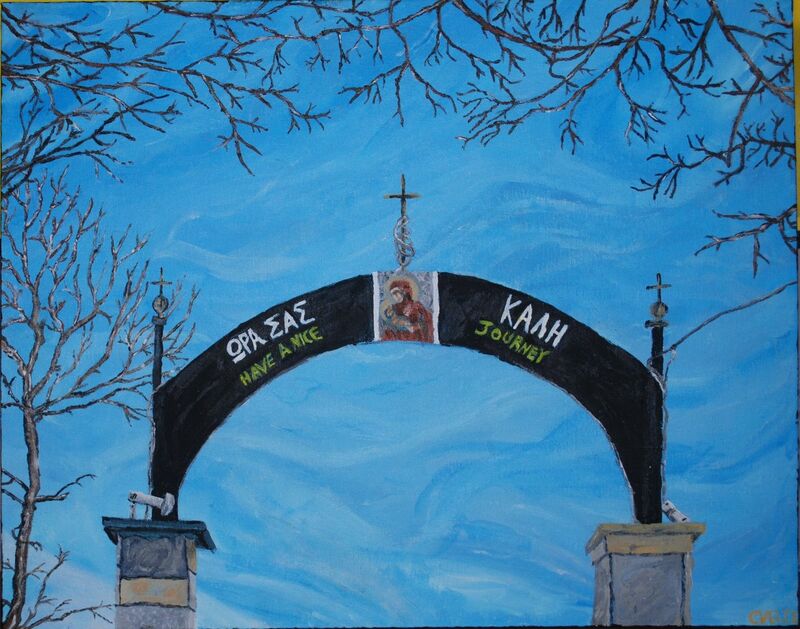 Technically, this was the first icon I've ever painted; on the sign of the gateway, there's an icon of the Theotokos. Trying to do an impressionistic impression of an Icon was difficult, but I think I managed it successfully. This is a gateway to a monastery in greece. It was a pretty awesome one, at that. I gave this one away as another wedding gift.